State Democratic Party Chair Tina Podlodowski joins Episode 82 of The Overcast to talk about the midterms, Donald Trump and Jay Inslee's 2020 prospects. Do Democrats have a message for the 2018 midterms beyond bashing President Trump? Do they have a shot at flipping two congressional seats long held by Republicans? And what about Gov. Jay Inslee’s 2020 plans? Or Howard Schultz’s? 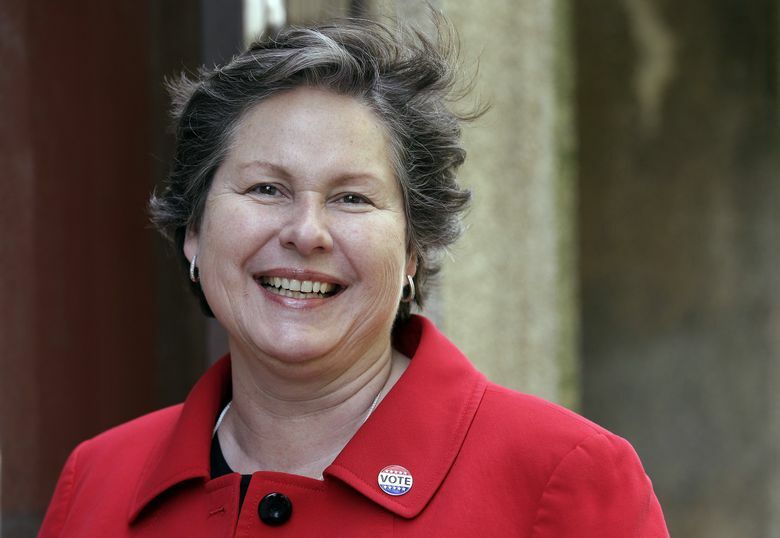 Podlodowski grew up in Connecticut, worked at Microsoft in the 1990s and served a term on the Seattle City Council. She was elected chair of the Democratic Party last year. Part of her pitch was to compete in places Democrats had all but given up on, and the party has fielded candidates in many such places this year. “We are running terrific candidates in 97 of 98 house races and 23 of 24 state senate races,” Podlodowsi says. Democrats are clinging to slim majorities in both houses of the state Legislature. They’re hoping to expand those, even as Republicans believe they can pick up seats in some rural Democratic-held districts. Do Democrats intend to impeach Trump if they get control of Congress? What about a newly leaked poll in the 8th Congressional District showing potential trouble for the Democrats in beating Dino Rossi? The episode was recorded at the Seattle studios of public radio 88.5 FM KNKX, in an ongoing partnership. Listen to past episodes of The Overcast here and check out other Seattle Times podcasts here. Send us your feedback and your ideas for future topics. Leave a comment on this post, tweet at us (@Jim_Brunner and @DBeekman) or email seattletimesovercast@gmail.com.